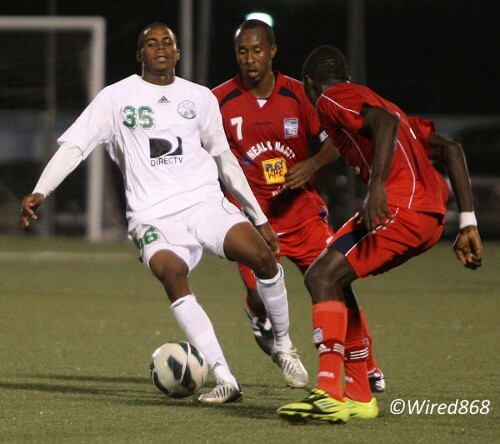 Joevin Jones was one of Trinidad and Tobago’s stand outs at the 2013 CONCACAF Gold Cup and he will captain DIRECTV W Connection tomorrow on Tuesday August 20 when the “Savonetta Boys” face United States Major League Soccer (MLS) team Houston Dynamo from 8 pm in Champions League action at the Hasely Crawford Stadium in Port of Spain. 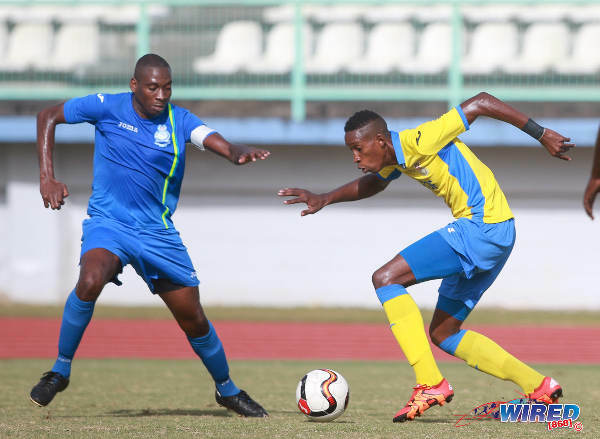 Photo: W Connection attacker Joevin Jones (left) during Pro League action against Caledonia AIA last season. 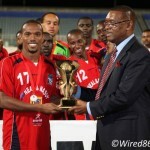 Did you know that Jones once lead Port of Spain team, Mucurapo Senior, to the Secondary Schools crown in 2008? 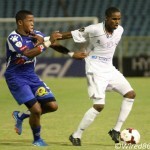 And his father Kelvin Jones, a former left back, was a member of Trinidad and Tobago’s famous “Strike Squad” team in 1989? Or that his younger brother, Alvin Jones, plays at right back or in central defence for Connection? 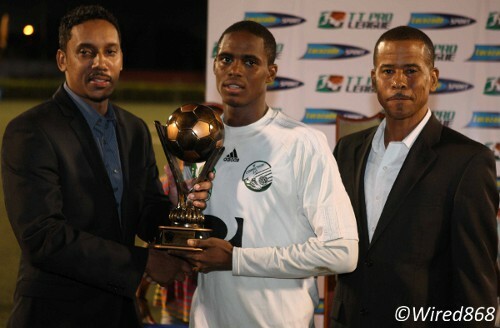 Photo: W Connection midfielder Joevin Jones (centre) collects his MVP award from a Lucozade representative (left) while Pro League CEO Dexter Skeene looks on. 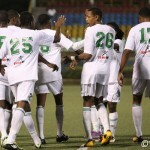 What is your personal ambition in football? Who taught you the basics? 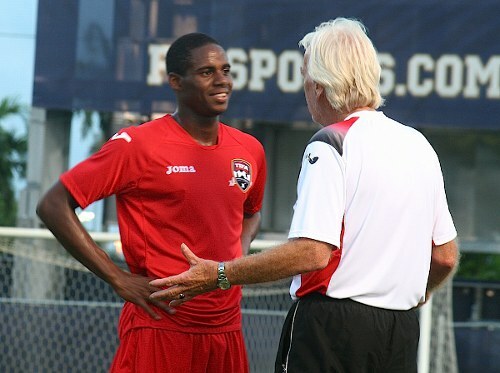 Photo: Former World Cup 206 coach Leo Beenhakker (right) makes a point to Trinidad and Tobago utility player Joevin Jones during the CONCACAF Gold Cup. 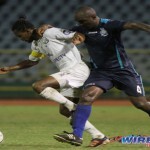 Photo: DIRECTV W Connection midfielder Joevin Jones (centre) tries to keep the ball from Defence Force man-mountain Keston Williams. Victoria Walcott is a journalism student at COSTAATT and an intern at Wired868.